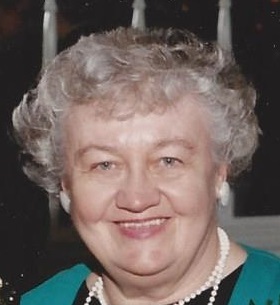 SHINGLEHOUSE, Pa.---Sharon J. Kellogg, 79, of Shinglehouse, went to be with the Lord on Sunday, March 17, 2019, after a short battle with cancer. Born on Thursday, July, 6, 1939 in Sandusky, Ohio, she was a daughter of Robert and Lula Bradt Stewart. On July 4, 1968, at the home of her parents in New Brighton, she married Gerald A. “Jerry” Kellogg, who survives. Sharon was a graduate of Zelienople High School, Class of 1957. She graduated from Clarion State College with a Bachelor’s of Science degree in Education in 1961. In 1961, Sharon accepted a position as librarian at the Oswayo Valley Junior/Senior High School in Shinglehouse, teaching until 1968. She served on the Oswayo Valley Library Board of Directors for many years. Sharon was a very faithful person to the Lord and her family. She enjoyed family and friends and corresponding with them online. She enjoyed going on car rides. Surviving besides her husband of 50 years are three children, Leah J. (Jeremy) Stuck of Belmont, N.Y., Joshua D. (Jacquelyn) Kellogg of Gibsonia, and Daniel (Robin Baker) Kellogg of Shinglehouse; and five grandchildren, Taylor Stuck, Christian Stuck, Aaron Stuck, Faith Kellogg and Michael Kellogg. In addition to her parents, Sharon was predeceased by a son, Laurie Gene Kellogg. In keeping with Sharon’s wishes, there will be no public visitation or funeral services. Sharon will be buried in the Bath National Cemetery in Bath, N.Y. In lieu of flowers, memorials may be made to the Oswayo Valley Memorial Library, PO Box 188, Shinglehouse, PA 16748. Sharon’s family has entrusted her care to Kevin J. Dusenbury, funeral director/owner of the Virgil L. Howard Funeral Home, Shinglehouse.